Why You Should Store Your Farts in a Jar… is the latest in David Haviland’s fascinating series of stomach-turning trivia books. Having addressed the oddities of the animal kingdom in Exploding Toads and Self-Harming Parrots (Little Brown, 2010), David now turns his bizarre perspective on the grisly world of medicine. This intriguing book will investigate some of most gruesome stories in medical history, from the barbaric sawbones of the ancient world, through the snake oil peddlers of the industrial age, all the way up to the quacks and remedies of medicine today.
" 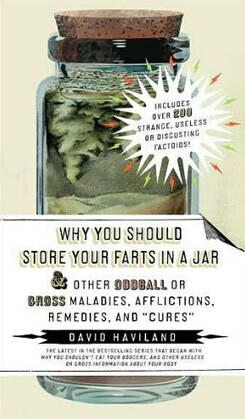 I never thought a book titled Why You Should Store Your Farts in a Jar would be so incredibly brilliant. David Haviland, I don't know you, or why you create books like this and Why Dogs Eat Poop, but you are clearly smarter than your maturity level." 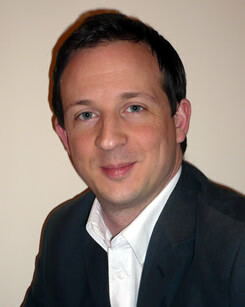 " Haviland once again proves ideally suited for this sort of writing. His style is simultaneously breezy and matter-of-fact, bringing each vile vignette to amusing, engaging life. And it's clear that this is a guy who does his homework. These subjects, as weird and disgusting as they might be, have been pretty thoroughly researched. It creates a reading experience that is both entertaining and - God help us - educational." "Reading medical books usually fills me with dread (and I’m a doctor!) but this is one with a difference – it’s hilarious! David has put together a compilation of interesting and intriguing facts that anyone would find hard not to like. I keep finding myself having to read that little bit more each time I put it down! If you’ve ever wondered why so many murderers are doctors or how frequently a person can vomit in a twelve-hour period then this book has the answer! I now know if people can grow horns, which surgeon accidentally cut off his patient’s testicle (ouch!) and why pig farmers are more likely to have their appendixes removed. My pub conversations are going to be so much better! This book is a must for anyone with a thirst for funny and far-reaching medical anecdotes. I’m hooked! The only question is, why should you store your farts in a jar?"